Ibrahim N. Bayeh, PhD has over 37 years of experience in managing/directing large-scale, GCC country economic development and strategic planning projects. Ibrahim currently serves in the capacity of Managing Director of the Energy Global Services. 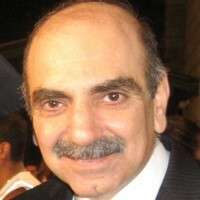 In 1993, Ibrahim started his own company, ISB Engineers & Constructors, in Lebanon. He did this in collaboration with various international engineering and management consultancy firms. Some of ISB’s major success stories include: the Master Plan Update & Infrastructure Plan (2 billion USD project) for Yanbu, Saudi Arabia, in consortium with Arthur D Little (USA), Black and Veatch (USA) and Kentz Engineering (Ireland); Strategic Planning Initiative, Market Study and Analysis (10 billion USD project) for Mesaieed, Qatar, in consortium with Arthur D Little, Black and Veatch, Royal Haskoning (Netherlands) and Khatib & Alami (Lebanon), just to name a few. Prior to establishing his own companies, Ibrahim served as the General Manager of several engineering and management firms, including the UK based “Mechanical and Civil Engineers” in Saudi Arabia, US based “Ford, Bacon and Davis Technologies” in Saudi Arabia and Kuwait and US based “Black and Veatch” in Saudi Arabia. He has acquired a reputation for his high standards, ethics, diplomacy and cultural sensitivity. To further demonstrate Ibrahim’s acumen as a business professional, he has a proven track record of leading and delivering projects in the oil and gas, process, power, water and petrochemical industries in the MENA region. He has numerous noteworthy accomplishments including establishing his first subsidiary EPC company, the Energy Company, in Saudi Arabia in 2006 and establishing his second subsidiary company, Energy Global Services (EGS), in Bahrain in 2009. This company wraps up years of hard work and the successful completion of over 135 projects with more than 320 permanent employees currently in Saudi Arabia, Bahrain and Lebanon. Ibrahim holds a PhD in Engineering Management, an MSc in Industrial Engineering and a BE in Mechanical Engineering. He can speak and do business in both Arabic and English.